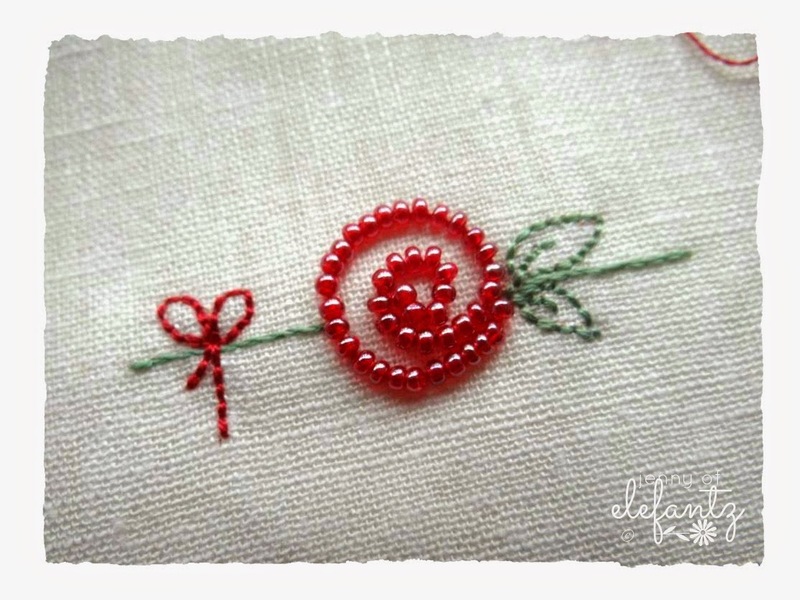 With Valentines Day just around the corner, I thought you might like to stitch a very quick and pretty design using beads - something perfect for your mother, daughter or dear friend? After all, why shouldn't Valentines Day be about showing love to all the special people who make your life bright?! To start with you'll require a wooden frame. Mine is tiny, the aperture just 3 inches across. I bought this frame as an ugly brown thing from the thrift shop, but after two coats of cheap acrylic craft paint it was beautiful and perfect for my needs. 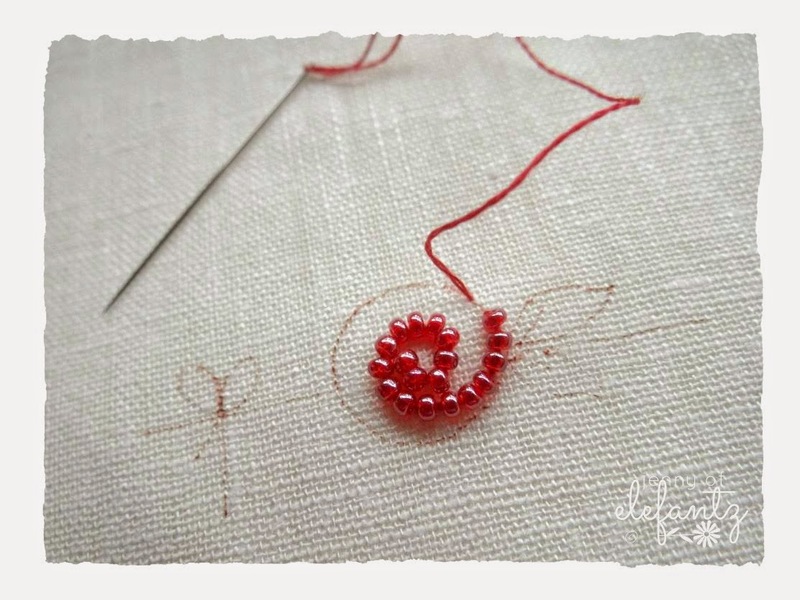 fabric to stitch the design on, small glass seed beads, red and green embroidery thread, and a piece of thin Pellon the same size as your frame aperture. Download the pattern sheet HERE. 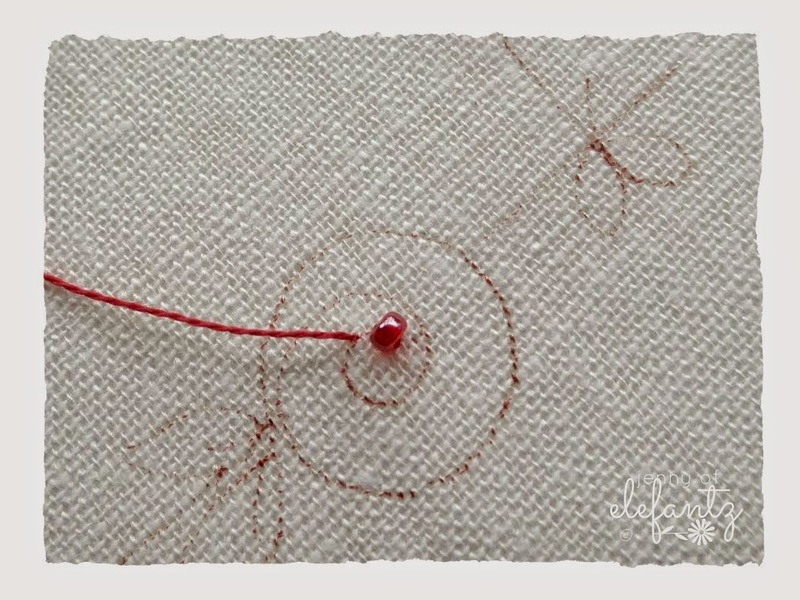 Trace the rose design across the centre of your fabric. Fuse the thin Pellon behind it. 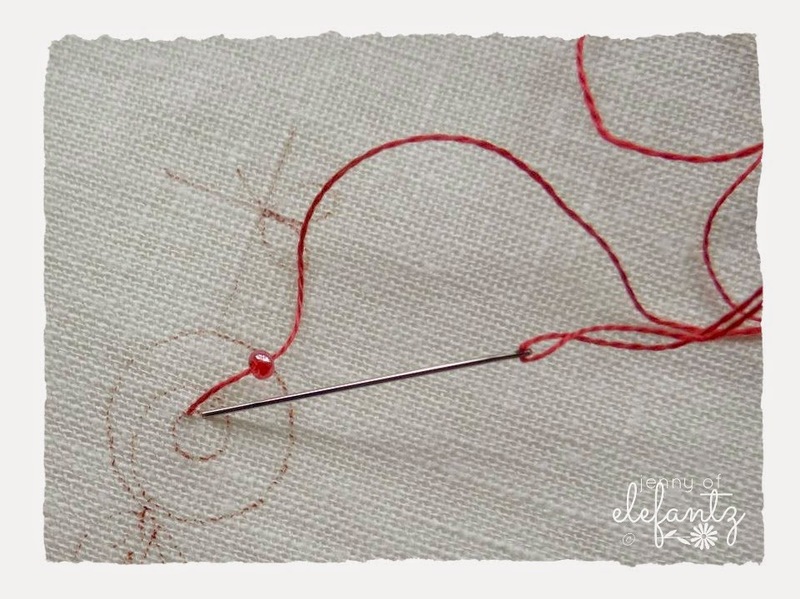 When your rose is complete, secure the thread behind the block with a double knot. 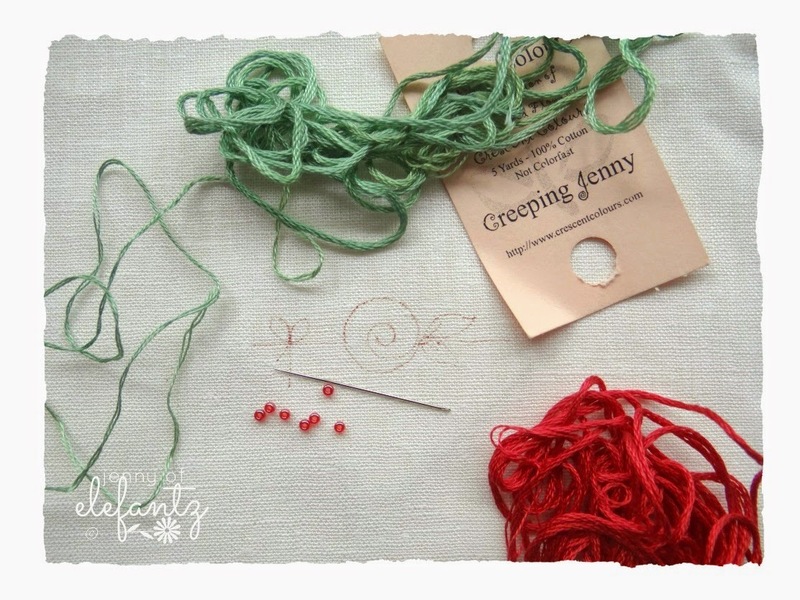 Stem stitch the rose stem, and backstitch the leaves and bow with two strands of the red and green thread. I covered the matting board of my frame with some sweet floral fabric. 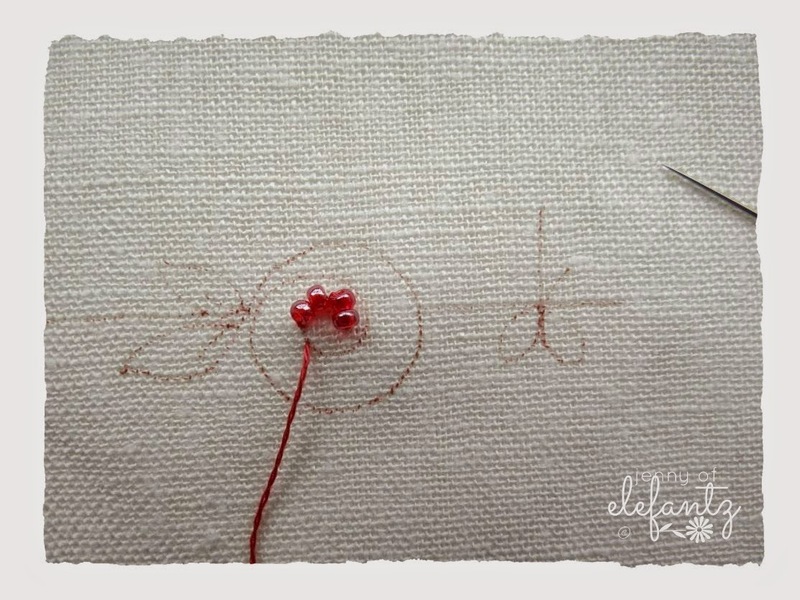 If you'd like to do something similar I have a tutorial for that process HERE, and I also have a tutorial for framing stitcheries HERE. 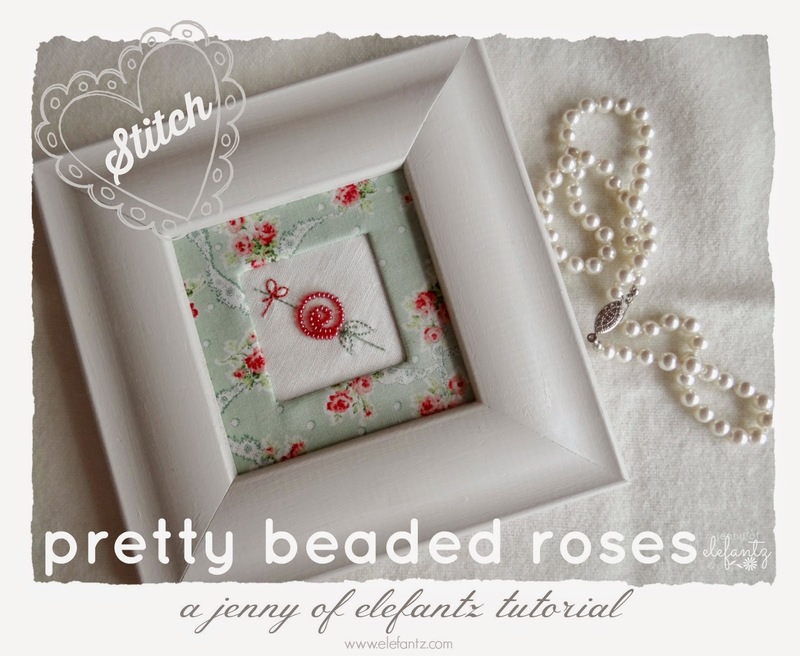 If you have some old frames that may liven up a bit with a coat or two of paint, why not use them for your Beaded Roses block? Simple but beautiful. My kind of project. What a gorgeous project. The beads look great, Jenny. This looks and sounds much easier than I thought it was gonna be. I could see this done in delicate pinks to for the girly touch. Sweet Roses of Beaded Bliss. I shall be trying to stitch this one. 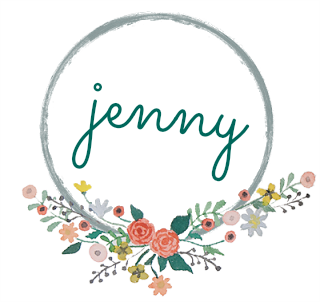 Thank you sew very much Jenny. That is so gorgeous - your beading seems so perfect. 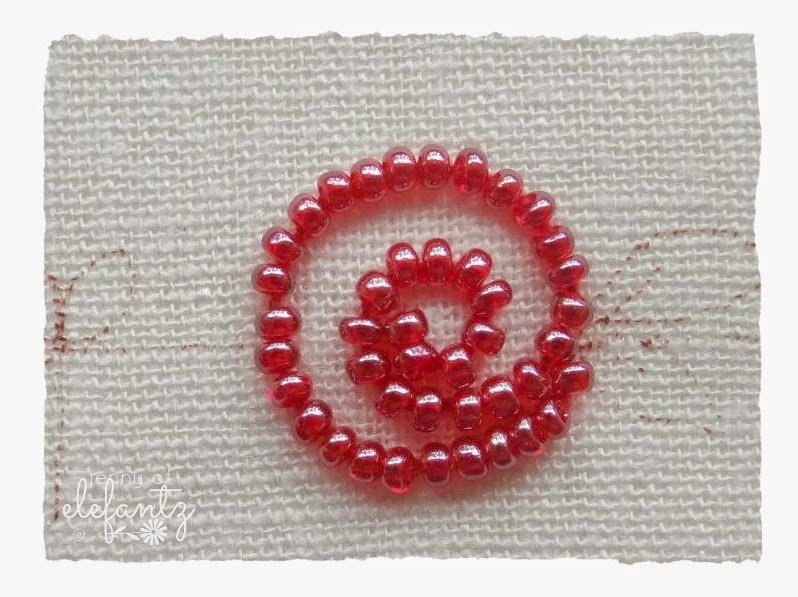 I've done a lot of beading and I rarely get such a smooth curved line. You are awesome! Thanks for another terrific tutorial. How very cute, what a sweet idea. Thanks for the tute. Gorgeous little work of art. 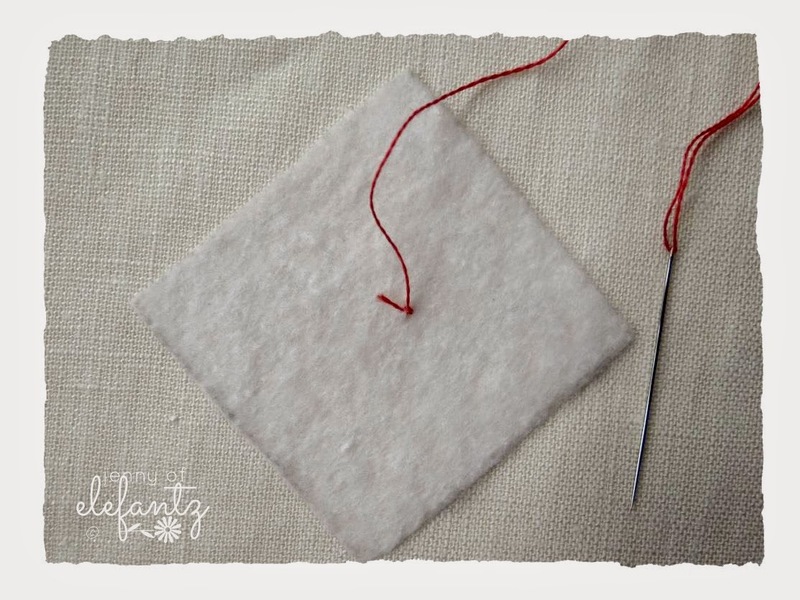 Perfect little gift thank you for the tutorial. So simply and sweet....thank you! How perfectly sweet. Thank you dear Jenny. What a lovely present to all of us.